Science fiction is a broad term for a big, big genre. At its core, it is a genre of stories in which science or technology beyond the bounds of what is currently known plays an important role, and tends by default to incorporate any fiction set in the future. This creates a vast continuum embracing space opera, steampunk, tech-oriented hard science fiction, alien-invasion thrillers, and dystopian studies of human society — to name just a few types of science fiction. Star Wars primarily falls under the label of space opera — pulpy adventure stories set in outer space, a subgenre heavily influenced by fantasy. These stories have the trappings of advanced science and technology — spaceships, laser guns — but aren’t interested in examining the science of the setting, or using it to explore mankind’s relationship with technology or illustrate ideas about society in the way most idea-oriented traditional science fiction does. In addressing how Star Wars interacts with the science fiction genre, I thus want to focus in on how the space fantasy saga engages with the “harder” elements of traditional science fiction. The Star Wars setting, as defined by the films and largely continued in the Expanded Universe, does not have a heavy emphasis on the science behind its spacey gadgets. Lightsabers are just a futuristic version of swords for a fantasy set in space. Nobody’s ever really bothered to explain how they work, because that’s not the point. Hyperspace works however it has to work to get the characters from A to B, and any hard rules are secondary to the needs of the plot. Writers do not spend a lot of time on serious consideration of scientific or engineering logistics; they write what seems cool and makes for a good pulp story. Of course, some attempts are made to provide guidelines about how technology works in reference material, or even in individual stories, but it’s notable that these are usually vague, are extrapolations from stories that don’t care about the science, and have little influence on future stories. A notable case of Star Wars’ attempts at science is that of Dr. Curtis Saxton, an astrophysicist fan, who attempted to apply some scientific rigor to the setting through analysis on his fan site. His work was influential enough to allow him to write and consult on a few reference books. 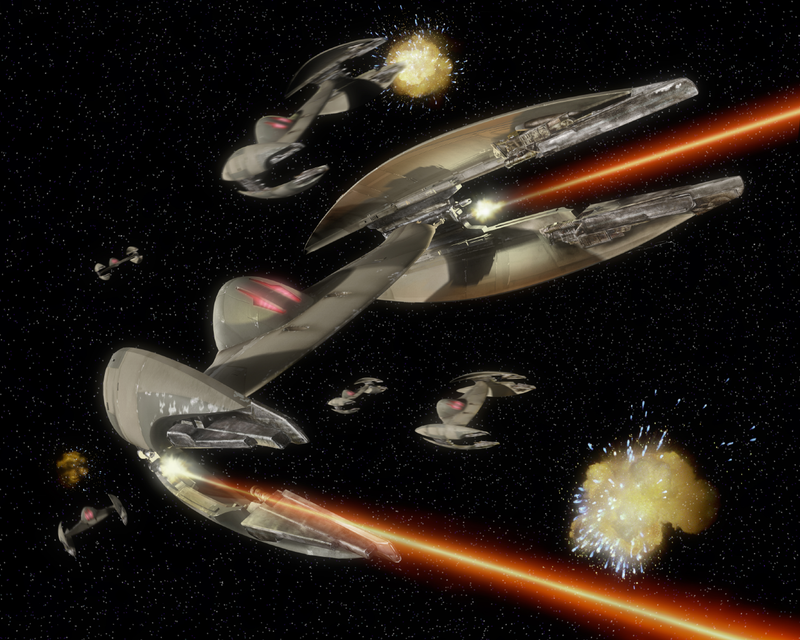 Significantly, however, Saxton’s attempts to rationalize the science of Star Wars often led him into direct conflict with the material, as when he insisted the Second Death Star’s destruction must have flung debris to Endor’s surface sufficient to wipe out the planet’s population — the so-called “Endor Holocaust” theory — despite Expanded Universe material depicting a continuing Ewok population on a healthy planet, and he tended to criticize decisions he saw as problematic rather than find a theory to accommodate the majority of the evidence. It was an unavoidable outcome of his approach, which fundamentally relied on cherrypicking the data he preferred and discarding the rest as contradictory and therefore unworthy of being considered canon. There were numerous problems with this approach, but at its heart it illustrates the impossibility of applying scientific rigor to the Star Wars setting. There is simply too much material too full of pulp-science and too inconsistent with itself for Star Wars to function as scientifically rigorous hard science fiction. With the Expanded Universe gone, that amount of material may be pared down, but it is extremely unlikely that Star Wars will change its nature. Paralleling its lack of interest in hard science is a lack of interest in the sort of setting-altering sci-fi devices that are among the signature elements of science fiction. Teleportation, time travel, virtual reality, alternate dimensions — the sort of phenomena that are so revolutionary they tend to dominate stories featuring them — might feature in Star Trek, but simply aren’t in Star Wars’ DNA. Star Wars stories are about people, not technology. The Charon come from Otherspace, an alternate dimension. Introduced by West End Games in 1989, they were probably a bad idea. That’s not to say that there haven’t been attempts to slide in more extreme sci-fi elements, going beyond the relatively low level of science fiction conceits of the movies. Bantam hired several authors with Star Trek tie-in experience to write its Star Wars novels, and many other authors were science fiction writers. This resulted in several books which made use of Trekkish science fiction tropes. Perhaps most notable was The Crystal Star, in which Luke Skywalker had his ability to use the Force muddled by a crystallized white dwarf being sucked into a black hole, while the villain was an interdimensional being. 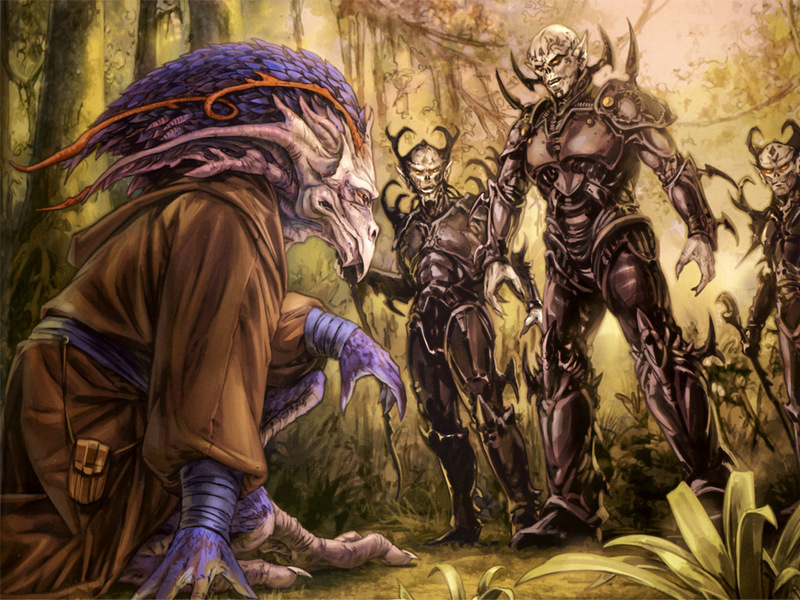 The Truce at Bakura had aliens who powered their technology via extracted souls. 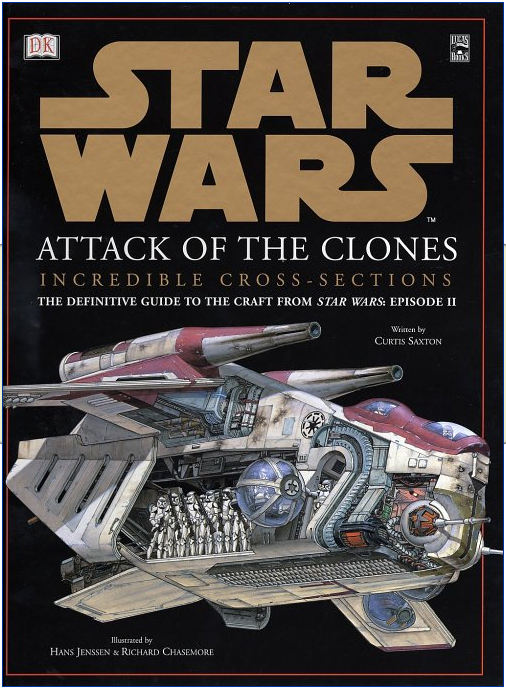 Timothy Zahn turned the films’ passing references to cloning and cloaking technology into major science fiction plot points, introduced science-fiction concepts interacting with the Force in the ysalamari and vornskrs, and brought teleportation into play as a Force power. More recently, efforts to incorporate science fiction elements into the setting have largely been led by Troy Denning, who made more of Zahn’s fairly obscure use of teleportation and introduced a time travel Force power on top of it. 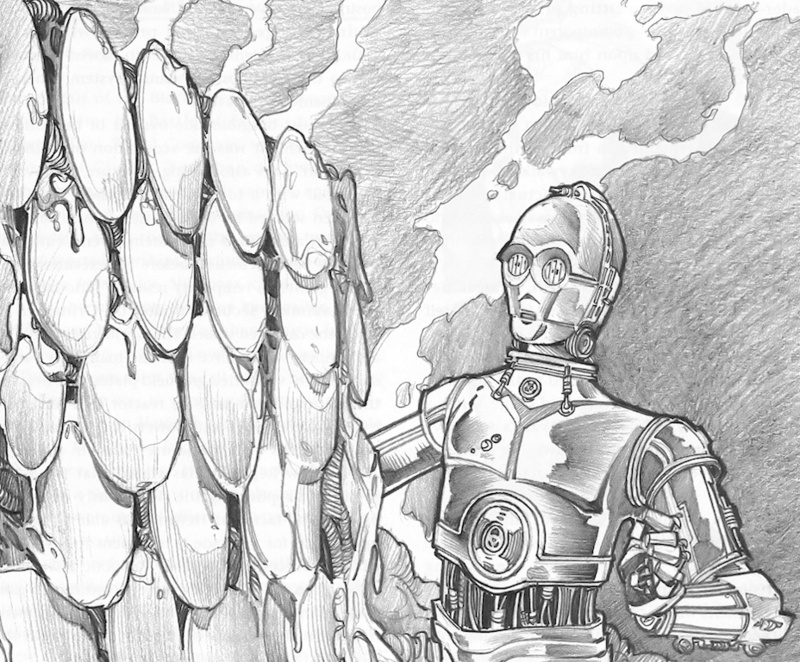 Denning, despite a background as primarily a fantasy author, also has made heavy use of nanotechnology and highly technology-centric solutions to problems (such as his ubiquitous YVH droids). A sequence in his Dark Nest books in which the Millennium Falcon encounters difficulty while traveling in hyperspace and consequently must fly through it backwards, with reality-distorting effects, stands out as a segment of story based around science fiction storytelling — a concern with the causes and effects of technology, a scientific problem and scientific solution. We have also seen time travel utilized in Crosscurrent, without any of the ambiguity of Denning’s Force-powered flow-walking, through scientific means. The work of Michael Reaves in the prequel era has also indicated a fondness for science-fiction concepts like multiple dimensions, though more as flavor to the universe than the focus of storytelling. Notably, reaction to such science fiction elements have largely been received, in my experience, poorly. Many fans seem to feel that concepts like time travel, teleportation, and alternate dimensions don’t really “belong” in the Star Wars universe set out by the films and the majority of the Expanded Universe. Aside from the post-New Jedi Order era, in which Denning has been allowed to drive storytelling, it is worth noting that these science fiction elements have tended to be fairly minor one-off insertions that don’t get used or brought up by other authors. I think it is safe to say that the consensus is that the Star Wars universe is fairly constrained in the science fiction conceits it embraces, and we are unlikely to see significant introduction of time travel or alternate dimensions in the new canon. I would, however, like to see Star Wars make more extensive use of those science fiction concepts that do fall within its existing wheelhouse. 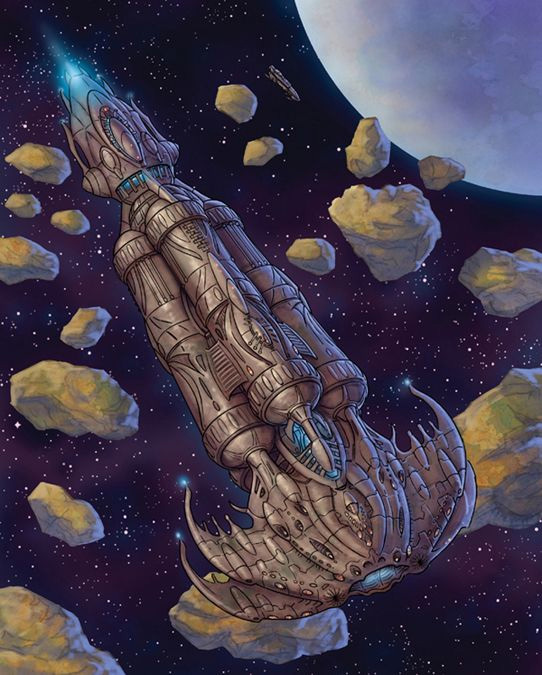 Fantastical alien species, space stations, city-sized starships, gravity-manipulating technology, cyborg implants, etc. There are a whole realm of planetary variations — high gravity, low gravity, various types of atmosphere, climates unlike anything on Earth — that are often ignored in favor of planets that simply mimic some area of Earth. There is certainly a lot of room for accentuating the extraordinary in Star Wars rather than keeping everything blandly normative. So far, for one of the world’s premier science fiction franchises, Star Wars hasn’t seemed to have all that much to do with rigorous science fiction, and it hasn’t seemed to be the case that it should. There is one area, though, in which I think Star Wars’ engaging with hard science fiction would make great sense: a thoughtful, idea-oriented approach to storytelling that explores the consequences of its science fiction conceits. Star Wars’ record on this score isn’t perfect, and probably never will be. It may make use of droids, but cannot really afford to extrapolate out the consequences of robot labor’s availability — it would simply do too much damage to its fundamentally familiar setting to have droids rendering humans (and aliens) superfluous. Similarly, it’s not much use wondering why Threepio, Artoo, and all the other droids never seem designed for maximum efficiency — both, after all, seem rather limited in the terrain they can traverse, and there’s no way having Artoo unable to speak Basic makes any sense. It helps for a story to at least consider these issues so that it can help suspend disbelief, though. Stories needn’t be built around robot labor, but sources can simply acknowledge in passing that droids aren’t all that reliable, are highly expensive to operate and maintain, and are generally limited in capability so as not to outrage the population — a few simple excuses attempting to wave away a problem can actually go a long way if they’re not nonsensical and if the writing stays fairly consistent with them. Considering the consequences in advance would be even better, as it might stop writers from casually introducing technology that should seemingly revolutionize the galaxy, at least not without first establishing a limiting principle. It is always valuable for authors writing in a shared universe to be aware of the consequences of what they write as it interacts with the larger universe. There is a place, however, for more contemplative stories in the traditional mold. I would love to read, for example, a story making use of quadrupedal species’ feeling of exclusion from biped-dominated interstellar society. 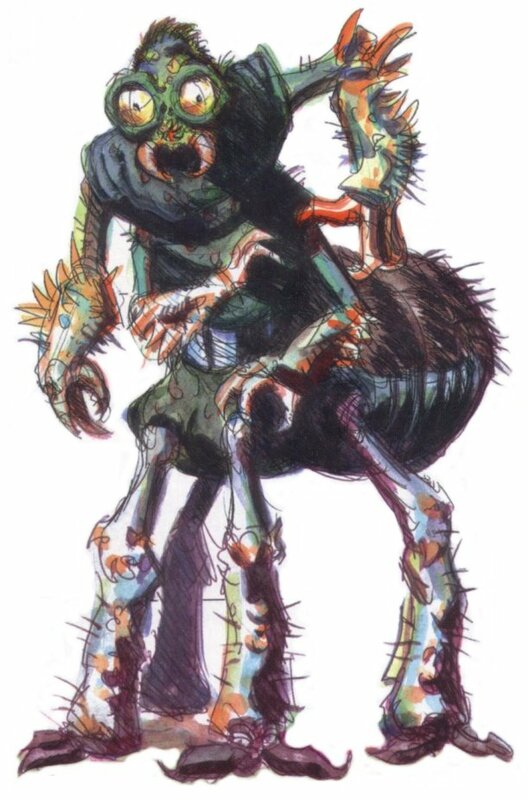 It could inform a quadrupedal protagonist’s characterization, or provide a conflict for the heroes to resolve. Stories of first contact with mysterious alien species are also a perfect route to thoughfully explore the culture clash inherent in a science fiction setting and expose our heroes to the unfamiliar. And while I’m tired of ancient or mysterious super-devices being used as powerful McGuffins, I would be quite interested in seeing a story that seriously explored an attempt to comprehend strange technology. There are many ways to blend thoughtful considerations about the social and technological effects of the existing setting, as well as of new elements, into a Star Wars adventure story. It’s been done in the past. Rogue Planet was an excellent, contemplative science fiction story that brought Anakin and Obi-Wan into contact with a living planet and explored the philosophical ramifications of such a being. The New Jedi Order did a good job of presenting first contact with a hostile species with its own strange biotechnology in a thoughtful and serious way within its war-action context. Michael P. Kube-McDowell managed an examination of Force philosophy by contrasting it with a competing sect capable of strange feats, a military science fiction plotline exploring conflict with an unfamiliar species with a well-developed society and alternate set of values of its own, and an exploration of a strange alien artifact in The Black Fleet Crisis trilogy, the most thoughtful, and most seriously science-fictional, Bantam production. The Corellian Trilogy was one of the few superweapon-of-the-week entries from the Bantam era to make exploring and understanding the functioning of the superweapon technology an important part of the plotline. And whatever you may think of how she went about it, Karen Traviss’s efforts to explore the moral and societal consequences of the clone army are a perfect example of traditional science fiction storytelling. There is definitely room for this kind of storytelling in Star Wars. From this survey, I think it’s clear that Star Wars, despite adopting some trappings of science fiction for its space opera, has a fairly tenuous relationship with the harder sci-fi that plays such an important role in defining the science fiction genre. Star Wars and rigorous science aren’t a good match. Writers have dabbled in expanding Star Wars’ catalogue of sci-fi phenomena, but it has often been a poor fit for the setting. And writers haven’t shown a ton of interest in the sort of focused examination of the consequences of their ideas that really defines serious science fiction. There have been several attempts, however, and this is one area that is ripe for further development. Star Wars may be pulp adventure at heart, but it tends to be worth it when writers take the time to think seriously about the setting, and some very good, thoughtful science fiction has come out of it.